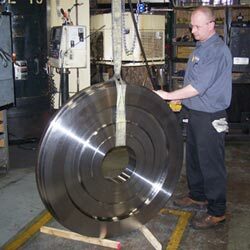 Since 1948, Acme Industries has been in the business of machining medium to large precision parts for leading manufactures across the globe. Acme makes complex parts and components for numerous industries including locomotives, construction equipment, transmission/drive train, oil & gas equipment, power generation, mining equipment, military vehicles and wind energy. 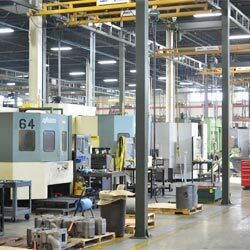 President and CEO Warren Young points out that customers choose Acme Industries to act as their manufacturing partner "because of Acme's superior ability to optimize supply chain and technical support for machined parts, assemblies and components." Bob Clifford, Acme's Vice President of Sales and Marketing, also notes that the company's people make the difference. "Acme's team of experts works closely with every customer to develop creative solutions for their particular manufacturing challenge. Customers get all the benefits of vertical integration, without tying up people, capital and attention," says Clifford. 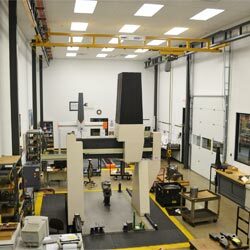 Acme's team of professionals works closely with their customers to add value as a strategic business partner by delivering best-in-class engineering services, supply chain management, machining, and logistics. Acme occupies 150,000 square feet of space on Pratt Boulevard in Elk Grove's industrial park and employs over 135 people. Young notes, "We serve our customers as their reliable manufacturing partner throughout the lifecycle of their most critical parts." It is Acme's mission to move "Beyond Precision" by providing its manufacturing expertise to those global OEMs who seek a solution that provides confidence, cost-savings, and excellent service.